Bling blah? 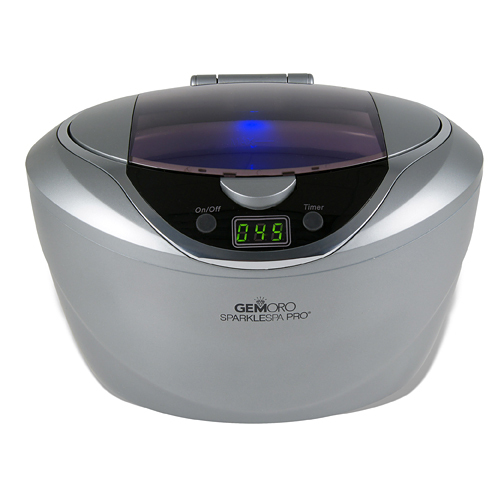 The GemOro SparkleSpa Pro is the créme de la créme of advanced, digital, true professional grade personal ultrasonic jewelry cleaners. Designed for the discriminating, haute individual with fine couture jewelry, diamonds, gold, silver and platinum bling that needs to be cleaned and maintained. With the SparkleSpa Pro'€™s powerful ultrasonic sound waves scrubbing your fine jewelry, this is the ultimate cleaner to keep it always looking amazing and showroom new from the convenience of your own home.